As the National Football League tosses out their Roman numeral system for #50, we embrace our 10th annual Groundhog Challenge with Roman numeral “X”. We hold certain truths to be self-evident. That most of us like to sleep at night. That most of us believe in Occam’s Razor. We’ll once again keep it simple for Groundhog X (2016). 1. Enter by selecting a minimum of five (5) investments and a maximum of twenty (20) positions. 2. 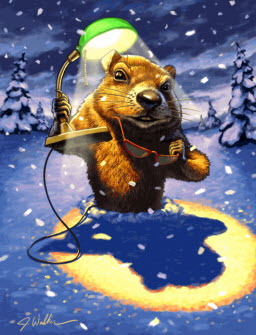 Participants will receive $1,000,000 in Groundhog dollars. The cool million will be divided evenly among the number of positions you decide to use. In other words, if you pick (5) stocks … we’ll divide the $1,000,000 evenly, creating a public dashboard with $200,000 each. 3. No transactions will be permitted between February 2, 2016 and February 2, 2017. 4. Entries can be made starting now and through Groundhog weekend and will be accepted until the market opens on Wednesday, February 3 at 9:30 ET. Entries can be submitted by emailing manifest@manifestinvesting.com or by posting here in the Groundhog Challenge forum folder. 5. Stocks under $1 not permitted. This is a total return contest — the influence of dividends is accounted for. You’re invited to a complimentary workshop where you’ll learn how to discover and study the best companies, how to determine if/when they are “on sale,” and prudent portfolio design & management principles using Manifest Investing’s web-based resources for long-term investors. 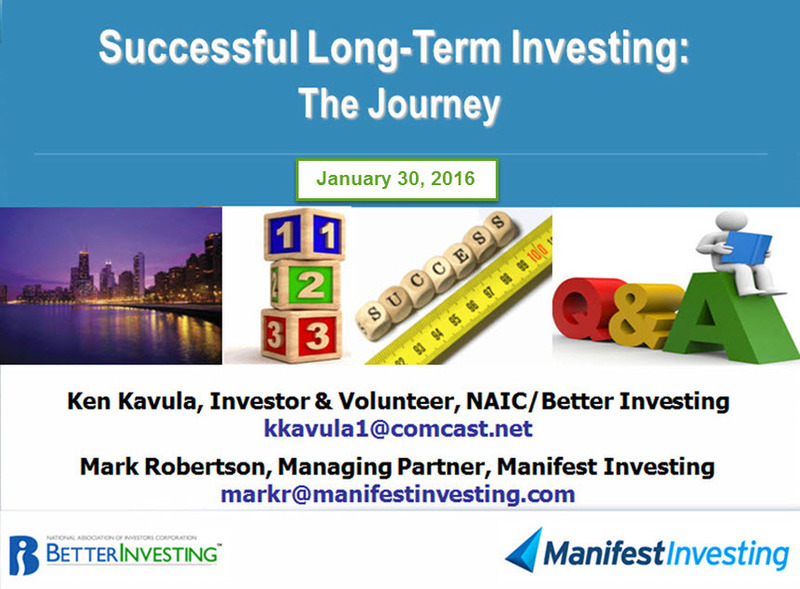 What are some of the most powerful lessons learned from multiple decades of successful long-term investing? We’ll explore best practices and examine key success factors based on working with the most successful investment clubs and individual investors. Our Round Table is a complimentary webcast — generally offered on the last Tuesday of the month at 8:30 PM ET. Dogs of the Dow: Howling Again? Might The Dogs of the Dow Be Howling Again? The Dogs of the Dow is a relatively passive (one year updates) strategy credited to Michael O’Higgins back in 1991. But it was not a new concept with Finance Journal articles dating back to 1951. It was simplistically based on the current yields of the Dow 30 stocks. The Motley Fool also featured a “Foolish Four” based on similar concepts but that has faded from attention over the years. The strategy was also compromised by the addition of non-dividend stocks to the Dow several years ago. What happens if we utilize total return forecasts (instead of current yield) to go shopping among the Dow stocks? In 2015, the ten companies selected as Dow Dogs delivered a total return of 2.6% vs. 1.3% for the S&P 500. The returns since 1999 are shown in the accompanying table — with the Dogs outpacing the S&P 500, 7.9%-to-5.7%. All of the documentation goes on to share stories of attempts to improve on the strategy, etc. over the years. Moments with Loeb and Rukeyser suggest that if the strategy becomes too popular and “deployed” that performance failure becomes a self-fulfilling prophecy. I have a simple question. What’s wrong with beating the market by a couple of percentage points over the long term? First, we don’t believe that a 1-year forecast for any single stock can be done without a pretty broad dispersion of results. The correlation for the Dow 30 in 2015 was typical. It’s not very correlated. Second, we do believe that results get better when measured by portfolio or dashboard. There’s strength (and error cancellation) in numbers …even relatively small numbers. The accompanying chart displays the forecast return via analyst consensus estimates, ACE on the x-axis versus the actual results on the y-axis for the Dow 30 stocks from January 2015. Our attention is drawn to the five highest return forecasts — those on the right of the diagram. One year ago, those five stocks were: General Electric (GE), JP Morgan (JPM), Johnson & Johnson (JNJ), Microsoft (MSFT) and NIKE (NKE). The average 1-year total return for these five stocks was 18.2%. The average 1-year total return for the five stocks with the weakest return forecasts one year ago checked in at 1.8%. The stock prices and ACE-based 1-year total return forecasts in the accompanying chart are from 12/31/2015. Yes, they’ve changed a little with the zany market gyrations of the last three weeks. The “Diamonds” of the Dow 30 have a lot going for them. The long-term return forecast (1/22/2016) is 8.8%. Most of the companies are mature, blue chip stalwarts with an average quality ranking of 87 (Excellent). With maturity comes reduced expectations for overall growth — and the average sales growth forecast is a modest 5.0% for the Diamonds. This means that if you were to use this for part of your personal (or club) portfolios, you’d want to spend time discovering and owning some of the best small companies to bring some faster growing components to the overall portfolio. Dow Diamonds: Chronicle. Time series display of return forecast (PAR), quality ranking and ETF (DIA) price over the last few years. Quality has been steady. The summer/autumn of 2015 price dip may have suggested a multi-year buying opportunity (relatively high return forecast) at the time. Price Performance: DIA. Chart courtesy of www.stockcharts.com This 20-year perspective on the Dow 30 stocks underscores the reality is that even blue chips come with speed bumps and plateaus. The 18-year annualized total return for the DIA exchange traded fund is 5.8%. Yes, Virginia. That lost decade was a beast. RSI: For more on meaning/understanding, see: Relative Strength Index ROC: Annual rate of change. See: ROC. If you were starting your Dogs portfolio today, the five stocks would be different (CSCO, BA, DD, PFE and GS). The 2016 market for the last three weeks has pummeled the stock prices of many of these companies and the overall 1-year return forecast for the DIA has increased from 12.1% to 21.7%. The analyst consensus is the market is undervalued as suggested by ACE and the 1-year total return forecasts from S&P and the influential research giants like Goldman. S&P is not as enthusiastic about the long-term values (P/FV=100%) versus Morningstar (P/FV=87%). The Value Line 3-5 year total return forecast is 8.3%. The average return for the Top Five was 18.2% versus 1.8% for the Bottom Five. We’ll track this going forward and check back to see how the 2016 stocks check in on December 31, 2016. For now, that’s an interesting difference and — in my opinion — collectively supports/affirms our analysis methods and gives us a nudge to study and own some of these blue chippers for as long as it makes sense to do so. Dow Jones 30 Industrials: The Long & Short. (January 21, 2016) Projected Annual Return (PAR): Long term return forecast based on fundamental analysis and five year time horizon. Quality Ranking: Percentile ranking of composite that includes financial strength, earnings stability and relative growth & profitability. VL Low Total Return (VLLTR): Low total return forecast based on 3-5 year price targets via Value Line Investment Survey. Morningstar P/FV: Ratio of current price to fundamentally-based fair value via www.morningstar.com S&P P/FV: Current price-to-fair value ratio via Standard & Poor’s. 1-Year ACE Outlook: Total return forecast based on analyst consensus estimates for 1-year target price combined with current yield. The data is ranked (descending order) based on this criterion. 1-Year S&P Outlook: 1-year total return forecast based on S&P 1-year price target. 1-Yr “GS” Outlook: 1-year total return forecast based on most recent price target issued by Goldman Sachs, Merrill Lynch, JP Morgan Chase or Morgan Stanley. Note: The price targets from Goldman Sachs (“GS”) are from public releases and represent a partial sample. The price target is logged as of the most recent public analyst report. Although every effort is made to keep this information as current as possible, some of the ratings may not reflect more recent research and updates. Some of the older Goldman Sachs estimates (>6-9 months) have been adjusted using more recent price targets from Merrill Lynch, JP Morgan, Morgan Stanley etc. For the year ended 12/31/2015, the Top Five stocks using our Dogs of the Dow approach based on total return delivered a collective performance of 18.2%. The Bottom Five checked in at 1.8%. This is a candidate for an arbitrage strategy. For more, here’s the Wikipedia version. We’ll play along with the following dashboard during 2016. We’ll assume that some investing firm (think hedge fund) will allow us to short the Bottom Five by selling $200,000 worth of each stock on 12/31/2015. Simultaneously, we’ll take the proceeds from those five transactions ($1,000,000) and spread that among the Top Five. The current results through 1/22/2016 are shown in the accompanying chart. This week’s Fave Five includes (4) repeat selections and one recent favorite, the #1 ranked company in this year’s Best Small Companies listing a couple of months ago. Our Fave Five essentially represents a listing of stocks with favorable short term total return forecasts (1 year, according to Analyst Consensus Estimates, or ACE) combined with strong long-term return forecasts and good/excellent quality rankings. This week’s Top One Percenters are Apple (AAPL), Cognizant Technology (CTSH), Forward Air (FWRD), F5 Networks (FFIV), and Under Armour (UA). Context: The median 1-year total return forecast (via ACE) for the Value Line 1700 is 32.0%. The median 5-year return forecast (MIPAR) is 9.9% (annualized). The relative return for the Weekend Warrior tracking portfolio is +2.6% since inception. 60.0% of selections have outperformed the Wilshire 5000 since original selection. Press on. 2016, so far, hasn’t been much to cheer about. But the long-term perspective hasn’t cratered and your 401(k) isn’t locked in the Titanic safe while a bunch of icebergs make like rocket-powered grenade launchers — no matter what those news anchors say. Based on the things that matter to long-term investors, press on. Here are some shopping ideas to rake across the fireplace coals while remaining focused on what matters. 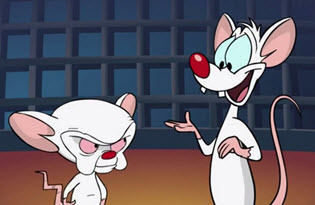 Answer: “Same thing we do every day, Pinky.” — The Brain. Bottom Line: It’s still OK to be optimistic about the future. Invest. Invest well. Be selective and discover industry leaders when they’re on sale. Simply put, the same thing we do every day. Invest regularly. Although growth rates have moderated, Armageddon isn’t here yet and continue to design and maintain portfolios with overall average sales growth rates of 10-12% if you have a long time horizon and risk tolerance. Turbulent times shouldn’t be a surprise. To most of us, they’re not. Do not be surprised when P/E ratios moderate and retreat a bit as Quantitative Easing (QE) dwindles, interest rates swell a bit and the huffing and puffing that has bolstered the market over the last couple of years (while profitability was challenged) subsides. On January 1, 2000 the even-weighted index value of the 1700 stocks featured in the Value Line Investment Survey was 1025.80. Sixteen years later, $VLE reached a value of 4358.69. The world ended at least twice during that sixteen year period. During the most recent excursion during the Great Recession, Warren Buffett shared that he hoped that he lived long enough to experience the next market break. Once again, he may be right. And present. Value Line 1700. The arithmetic average (equal weighting) means that the index didn’t get extra credit for Amazon, Apple, Facebook, Google or Netflix during 2015. As such, $VLE was down -6.9% during 2015 as shown by the 12-month rate of change (ROC) portion of the graphic. Why The Value Line 1700? That’s 5.6 percentage points (560 bps) better than the S&P 500 during the 16-year period. We like to do much of our shopping here. 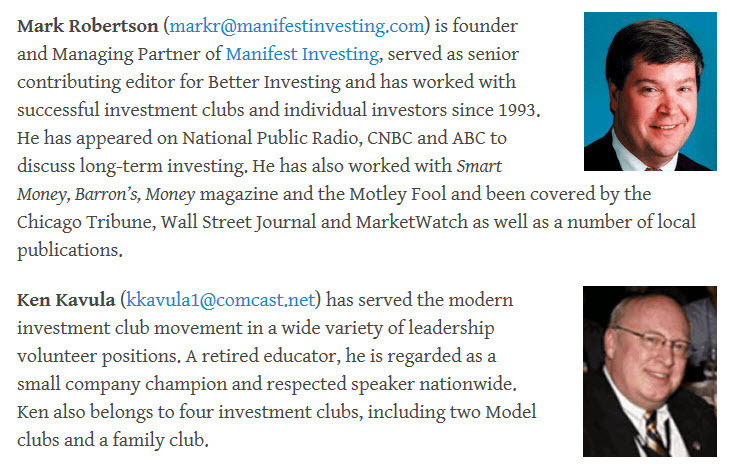 39-of-the-40 most widely-followed stocks by Manifest Investing subscribers hail from the 1700. Only PRA Group (PRAA) is a current exception — and may actually warrant some accumulative speculation at this time. More on that later. We believe in all-of-the-above shopping and we know that it makes strategic sense to discover and own large, medium and smaller companies in order to nail down that balance between the slower growing blue-chip stalwarts and the promising upstarts. The Value Line 1700 provides a pretty good vista of qualifying opportunities. We do look forward to the day when some of the Best Small Companies For 2016 join the VL 1700 and ultimately, the MANIFEST 40. The other reason is that we like to be Schlossian in our investing efforts. For those unfamiliar, check out the works of Buffett colleague and friend, Walter Schloss, and his reinforcement that any and all of us can do this — and experience successful long-term investing. Walter rarely shopped outside the VL 1700. If we squint, we can see 2015 take a “dip” that actually rivals 2008-2009 a bit. This probably accounts for much of the angst prevalent among most of the talking heads. Yes, Europe continues to struggle. China slows. Demand for petroleum is stunningly low at a time when production is peaking despite the curtailment of higher-cost production alternatives that have terraformed the energy landscape over the last few years. The American consumer is better but still slogging through molasses when it comes to disposable income and consumption. Political candidates tell us just about anything they think we want to hear to get elected. But it ain’t Armageddon. It’s not different this time. And this is why we invest. This image is probably the keystone in our long term perspective. First, it’s a tribute to the optimism of the Value Line analysts. Their 3-5 year forecast for most companies is perpetually unprecedented. Someday we’ll have the dream of commercialized nuclear fusion, a cure for cancer and the common cold and they’ll be right with the long term profitability forecast. But for now, it’s our reminder to shave a little off the top while performing our own studies and checking in with the Value Line net margin (and ROE) forecasts. Second, although 2015 was nothing to write home about, it’s not Armageddon either. The relatively low net margin results (still taking shape, by the way, as the 4Q2015 company confessions roll in) go a long way to explain that Goldilocks aura that many of us feel. Things are better. But they’re not what they should be — at least not yet. That said, even discounting the 2019 elephant on this graph, the long term trend is favorable and American innovation and optimism is still alive and kicking. Imagine if we’d ever start to tackle/eliminate the corporate income tax malignancy that continues to give the rest of the world a head start and tilted playing field when it comes to manufacturing and delivering goods to We, The People. It’s on the list with fusion, cancer cures and we can dare to dream. It’s beginning to appear that 2014-2015 was something of a peak when it comes to P/E ratios. The surge was likely fueled by low inflation/low interest rates, shadowy accumulation of stocks and continued respect for the best companies who seem to prevail and persist in the face of steep challenges. The P/E that matters most to us is the projected average P/E in our forecasts and the average for the 3-5 year forecast at Value Line seems headed more for 18x than 22×. It’ll be interesting to see the Value Line expectations when the data array ratchets one column soon, displaying one year further out. In the preceding chart, some (including me) have wondered about the utility of gauging one-year expectations alongside our traditional long-term forecasts. Intuitively, I’d like to think that pursuing a company with a solid long-term perspective (relatively high return forecast) in combination with sentiment-fueled 1-year expectations could be an effective combination. But — for any given stock — as shown in the accompanying chart, it’s really pretty much of a “crap shoot” for one year results. This is not a surprise. We know this as the perpetual dance of the rhinos as short term forecasting is almost always Dremaned. There is, however, a glimmer of hope. And it comes in the same type of condition that we witness with overall performance of portfolios vs. individual stocks. When gauging performance in groups, accuracy gets better. In this case, the top six stocks with the best 1-year return expectations back in January 2015 actually delivered a combined performance of 16.7%. See FAST, GE, GOOG, JNJ, MSFT, and TEVA in the chart below. The stocks with the six weakest 1-year expectations were CSCO, COH, CTSH, PAYX, QSII and WMT. These six combined for a collective result of 0.9%. How To Read This Chart. This chart displays the actual 1-year total returns for most of the MANIFEST 40 most widely-followed stocks versus their 1-year total return forecast from January 2015. For example, General Electric (GE) had a total return forecast of 20.8%. This is plotted on the x-axis. The point (20.8%, 27.5%) provides the comparison of the 1-year result (27.5%) plotted on the y-axis. First and foremost, we’re reminded that these (40) stocks collectively represent a top shelf collection of high-quality companies that rank among the most closely-followed stocks by our subscribers. To me, that means it’s a fertile ground for promising opportunities under the right conditions. The average 1-year total return forecast for these (40) stocks is 23.5% (1/18/2016). It will be interesting to see if this persists or drifts as the rhinos attempt to focus on the challenges ahead for 2016. If we’re looking for shopping opportunities, it’s OK to focus on the best long-term return forecasts, for example Apple (AAPL), Buffalo Wild Wings (BWLD), Cognizant Technology (CTSH) and Gilead Sciences (GILD). Apple (AAPL) — well, just because. LKQ Corp (LKQ) — because new car sales could peak and there’s still a lot of marginally skilled drivers out there. Gilead Sciences (GILD) — because they persist in building solutions and chemistry that improves lives. With the maturity that embraces simplicity, Press On!